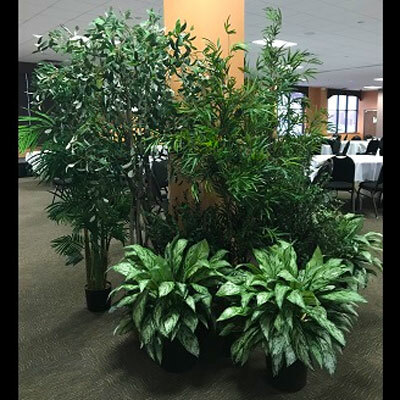 This is just a small sample of our Rent-A-Tropical-Woods! We also have grasses, Phoenix Palms as well as 12 foot Palms to add to this Tropical Paradise. Whatever your event, we can cater to your needs. Especially popular for corporate conventions and Prom. Some items can also be purchased new. Call for details and to discuss your personal Jungle paradise needs. Phone number on the bottom left corner of every page of our website for ease.